On the fringe of the Empire lies a sector that rarely sees the beneficial might of the Seven Princes. Governed by a powerful Magravate, this almost lawless region of wide spread colonies fights tooth and nail for survival while the more wealthy core sectors ruled by the Princes squabble amongst themselves. 5x 15mm metal colonist figures wearing standard and protective dress, armed with a variety of civilian type weapons. 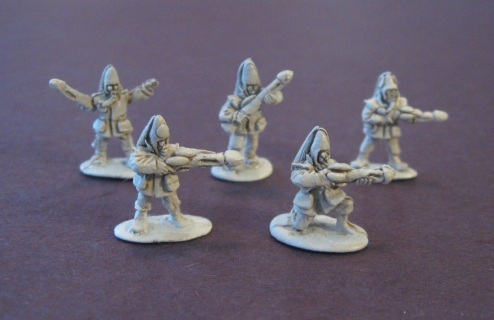 5x 15mm metal colonist figures wearing standard and protective dress and wearing respirators, armed with a variety of civilian type weapons. 5x 15mm metal infantry figures wearing Flak body armor, and respirators. 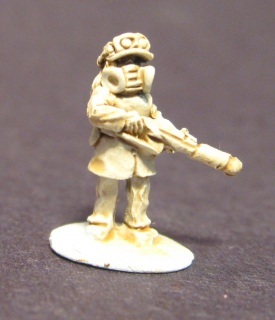 Includes 1x Platoon Commander, 1x Radioman, 1x Anti-armor troop, 1x NCO, and 1x soldier running. 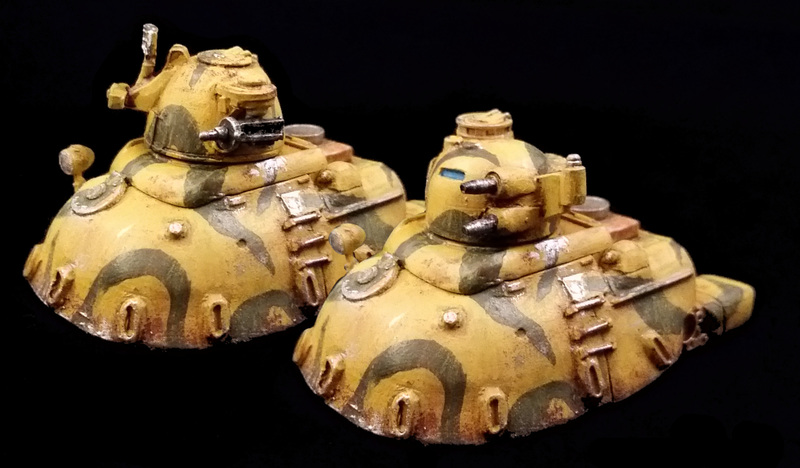 6 piece resin model of a Magravate Militia Bounder grav APC. Includes optional Anti-Creature canon and drivers hatch. 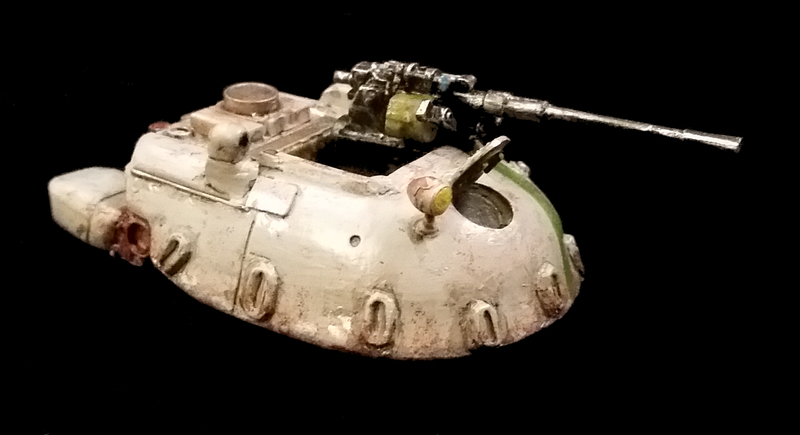 Resin model of a Magravate Militia Rimmer light grav tank. 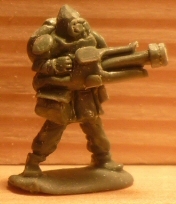 Includes both a remote operated tank turret (3 pieces) and a manned turret (1 piece). Base model is 1 hull, 1 drivers hatch, 2 engines, headlight and turret ring. 4 piece resin model of a Magravate Militia Grav Hauler. Kit comes with 1 hull, headlight, and 2 cargo bed rails. 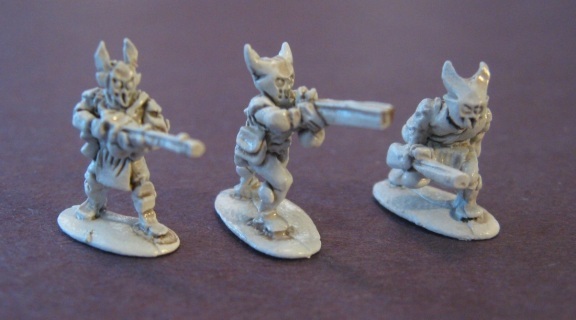 5x 15mm metal infantry figures wearing environmental combat armor. 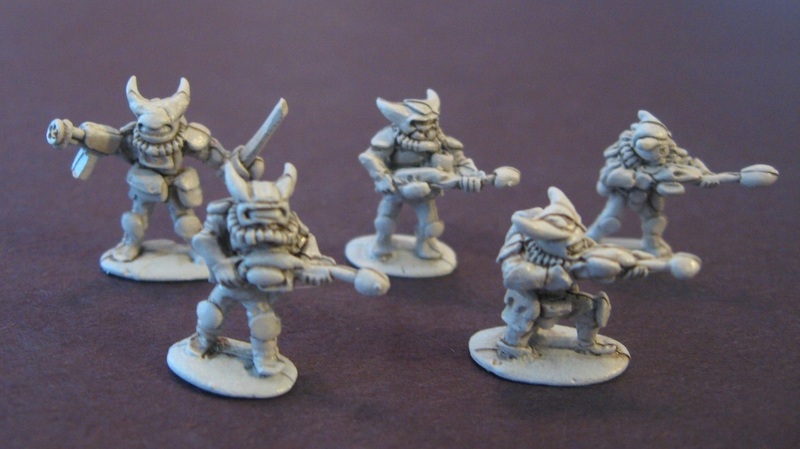 Includes 3x close combat raiders, 1x anti-material Rocketeer, and 1x heavy beamer raider. 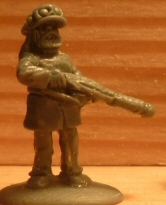 5x 15mm metal low-tech alien figures. 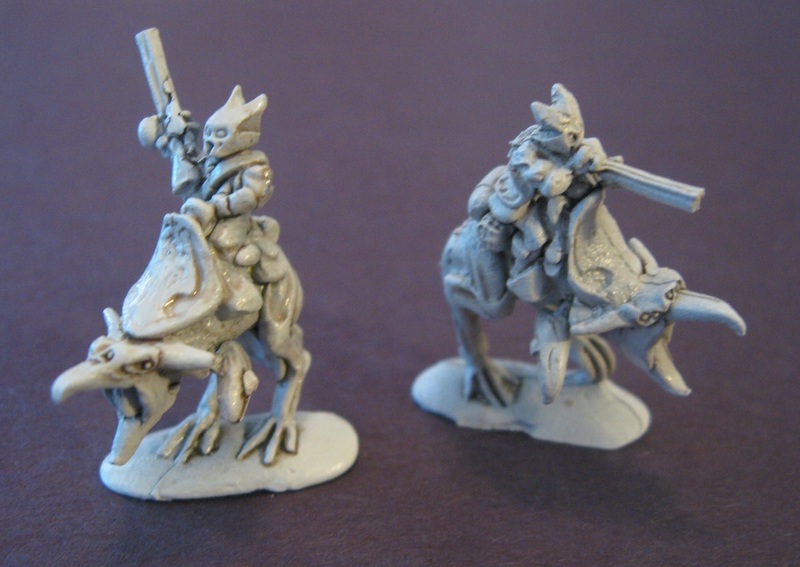 Includes 3x armed with rifles and 2x armed with close combat weapons.